GO4 Market Cafe | GO4 Enterprises | "The original Colchester Social Enterprise serving coffee and food with a conscience"
The GO4 Cafe & Market was located in Holy Trinity Church building, on Trinity Street, Colchester. 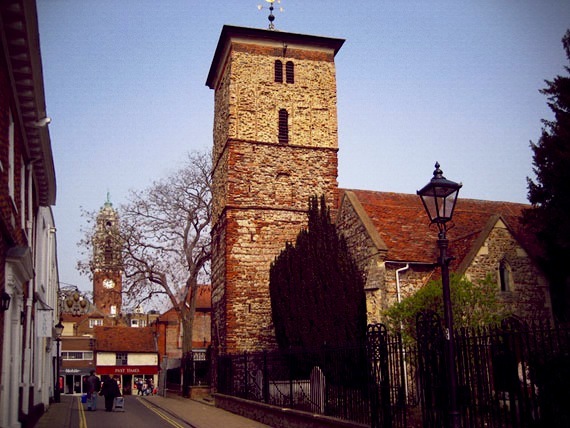 With its Saxon tower, this is the oldest building in Colchester in everyday use. Inside you’ll find vintage, retro, fashion, homewares, furniture, antiques, vinyl, world goods, ceramics, craft, prints, and paintings. And to keep you going, we’re serving barista fresh-ground coffee, together with home-made pastries, cakes and light lunches. Follow GO4 Cafe in their social spaces: Facebook, Twitter, Instagram and the blog. Many stalls in this redundant old church. 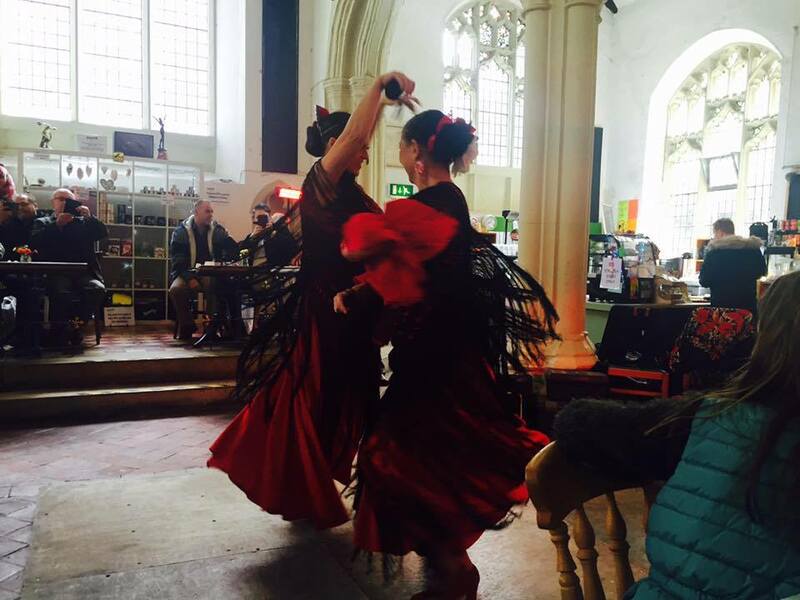 Just wander around the building and see the wide range of stalls; vintage clothing, old vinyl records and new goods from Morocco are just some of the things on offer. I often call in to just look around and see the new range of items, especially in the Moroccan Magic stall where I buy jewellery and leather handbags.